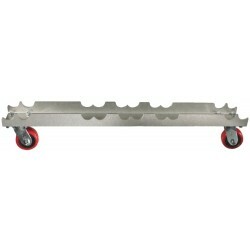 The Mega-Truss Dolly easily holds truss for transport or storage. 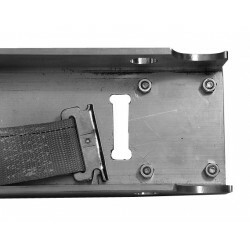 5 inch aluminum channel has CNC milled cutouts for truss to ride in. The truss is secured tightly with an E-Clip ratchet strap before transport on its two 480 pound rated four inch heavy duty casters. 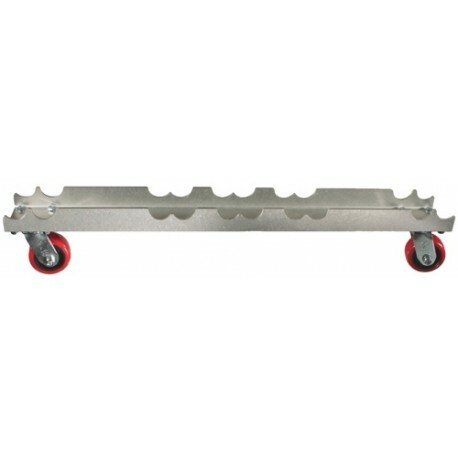 A pair of Mega-Truss Dollies will carry up to 1920 total pounds of truss. 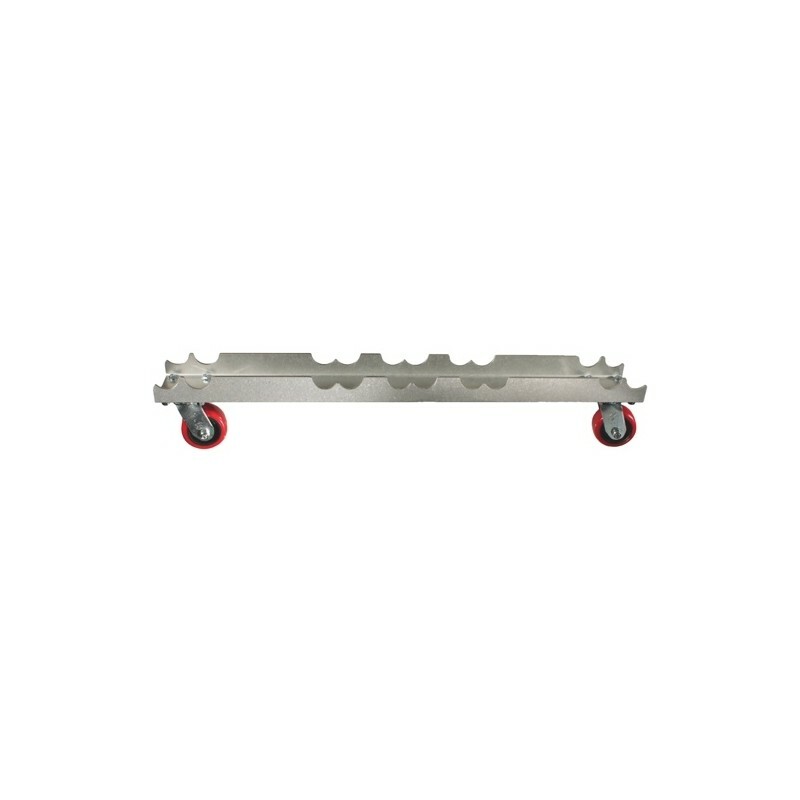 Add the optional Mega-Couplers to hold the outside bottom pieces of truss directly to the Mega-Truss Dolly without the straps, to help in rolling the Mega-Truss Dolly to load or unload truss without tipping the dollies. Optional E-Clip ratchet straps are not included and are sold separately.